our weather has been so warm and beautiful the past few days that all my focus has been on the outdoors. the windows are wide open, chirping birds wake us before dawn, and the breeze is blowing through. it's wondrous... all i want to do is be outside. while the vegetable garden is progressing, we've also been working on the rest of the yard. 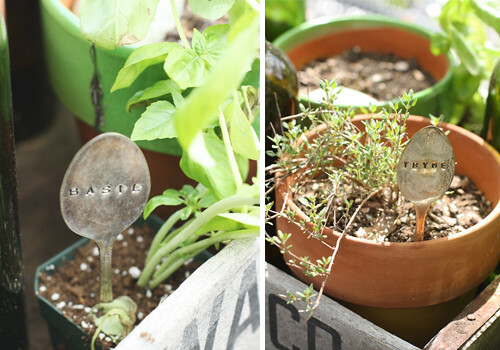 one of my favorite little spots is the potted herb garden we keep on the back deck. 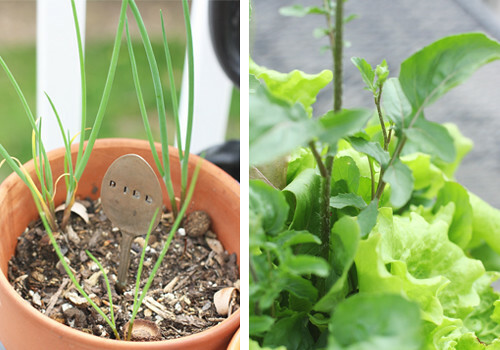 i was so pleased to see that a few of our favorites from last year were already sprouting again. 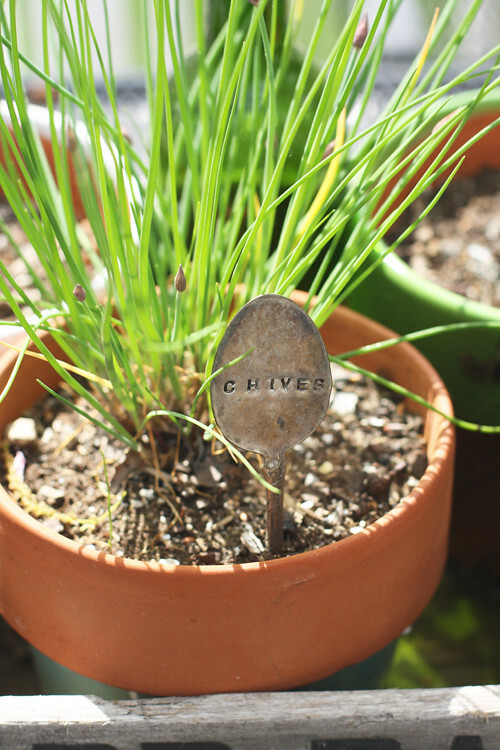 the chives and thyme are flourishing, and the chocolate mint and dill are just beginning to emerge. 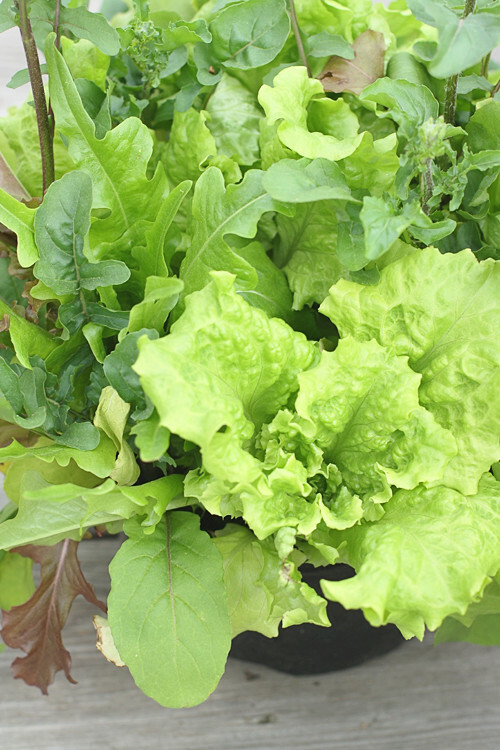 a couple of weeks ago, we picked up some basil and lettuce at the farmers' market. what a treat it's been to step outside, tear a few leaves off, and have a super fresh salad for dinner. i just can't wait until we can add more garden veggies! i'll probably pick up some rosemary, and definitely some cilantro to plant as well. 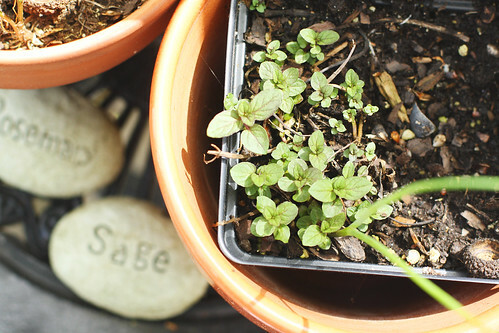 what other herbs are must-haves for you?